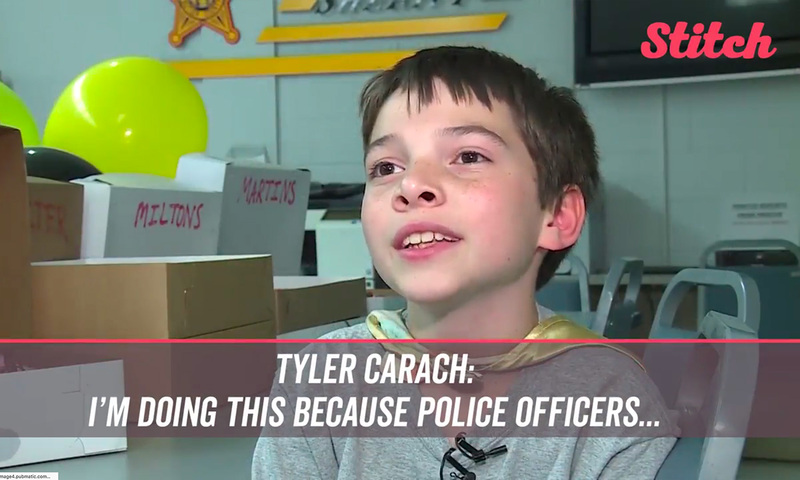 A 10-year-old who calls himself “Donut Boy” is delivering sweet treats to law enforcement officers across America to thank them for their service. Tyler Carach and his mother have been delivering donuts for 22 months across 28 states so far, giving away more than 60,000 donuts. For National Donut Day on June 1, Carach delivered donuts to a local police station in Ohio. The department’s sheriff thanked Carach for his kindness by making him an honorary deputy. Watch the video above to find out how Carach’s donut delivery mission started.